Our corporate recruitment team will partner with local operations staff to develop a comprehensive staffing campaign, including appropriate print and online advertising, promotions with local vendors, and various other techniques customized for your community. Working closely with the local management team, we use a variety of recruitment techniques to attract employees from your local area. We practice preferential hiring with the district’s existing employees. After the partnership with a district begins, we will hold a “meet and greet” for all current transportation employees. We know that a change in employers can be difficult and that the earlier we communicate with the affected staff, the better the transition is for everyone. Our objective for this meeting is to provide information about our company practices and to encourage open communication. We will explain the hiring process, what can be expected by employees, wages, benefits and operating policies. Time is allocated for questions and answers. For any additional staffing needs, we have expert recruiters to staff our operations at or above required levels at all times. Our recruiting professionals research market driven salaries from local and surrounding communities, including salaries from other industries which may compete for front line employees and uses this key information to ensure our salaries remain competitive in the market. To ensure we are always properly staffed, all locations have access to our comprehensive online recruiting toolkit named ADORE (Attract, Decide, Onboard, Retain and Engage). This toolkit includes templates, plans, videos, marketing materials and best practice samples of how to effectively recruit our most important resource – our drivers. In support of our commitment to safety, we meet or exceed all required federal and state mandates for school bus transportation. The depth of our practice for checking employee criminal backgrounds, motor vehicle records and work history sets us apart from our competitors, both in the work environment we create and in the service we provide. We use an Applicant Tracking System (ATS) to hire all driver, monitor, maintenance and staff employees. This allows us to drive a consistent hiring process that complies with all employment legislation. The also allows us to evaluate our hiring effectiveness and provides us with key metrics to ensure we continually improve our overall recruiting efforts. Applicants for driving positions and non-driving safety-sensitive positions, e.g., mechanics and bus assistants, to undergo medical examinations to ensure they are physically fit for the job for which they have applied. Reviewing each applicant’s and employee’s current motor vehicle report. Applicants and employees in driving positions must meet certain standards for driving records. Driving records for each employee who drives a company vehicle must also be reviewed annually. Driving records may be reviewed more frequently as required by state law or contract. As part of the review, the driving record is signed and dated by a supervisor and the employee. Our drug and alcohol testing program has been created to protect our customers, the public, and our employees. It mandates discipline up to and including termination. This program is intended to comply with all applicable state and federal regulations governing workplace anti-drug and alcohol abuse programs in the transportation industry. We obtain criminal background checks to comply with applicable state and federal laws, as well as company policy and district standards. Retaining good employees is critical. Our total compensation program has been designed to retain the current driver workforce and to attract prospective employees. We offer competitive driver wages, health, dental and a 401(k) plan. We also believe in developing our employees to grow with our organization. We also believe in recognizing our employees who go above and beyond their job duties with ‘Enjoy the Ride’, a program that rewards those individuals for outstanding performance. Our employee training programs prepare our employees to deliver the safest and most reliable service in the student transportation industry. Each department has specific training that focuses on the needs of both external and internal customers. Each employee is expected to pass all required instructional materials and to meet or exceed qualifications as outlined by local, state and federal regulations. Our customer service centers receive unmatched support from a team of safety and training professionals consisting of both region and corporate resources. New drivers must complete rigorous training courses through classroom and behind-the-wheel training. Dispatchers and monitors are required to pass the driver training classroom curriculum, and if applicable, dispatchers will continue our behind-the-wheel training and CDL licensing for driver certification. Other training programs incorporate mandatory mechanic certification and also an incentive for ASE certification. We require all management personnel to attend our annual management training courses taught through our National Express University (NXU) program. We understand the key to providing safe transportation is to provide great employees. The right attitude, the best training, and most of all, possessing the highest standard of care for the students are critical success factors of our training. Our safety training program, S.T.A.R., has been developed specifically for us to ensure our customers are provided with the best skilled drivers and monitors. 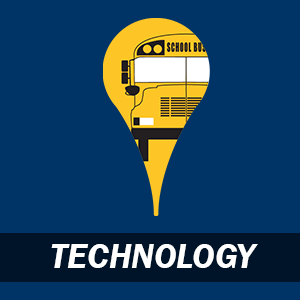 This program emphasizes current safety prevention tactics, proper bus inspections, student management and the extra attention our special needs riders deserve. 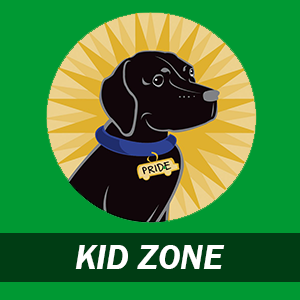 Monitors are required to participate in the classroom training program with emphasis on safety basics, intersection, danger zones and student management. Since many dispatchers began as drivers, those who retain their CDL license are also required to participate in all driver classroom and behind-the-wheel curricula. In order to remain qualified as one of our school bus drivers, all drivers must continue to participate in in-service trainings throughout the year. 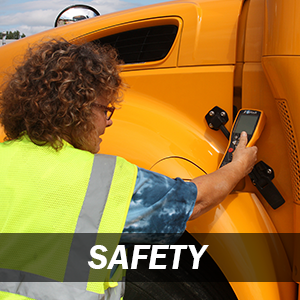 This can be accomplished through attending mandatory safety meetings, special driver seminars and workshops. 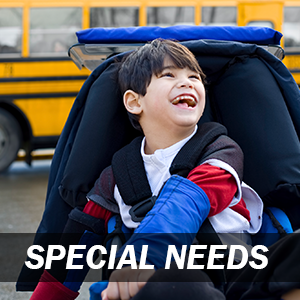 Our business is devoted to special needs transportation. We are recognized experts in this area. We hire people with the integrity, patience and sensitivity necessary to be a positive influence in the lives of children with special needs. Transporting students with special needs presents unique challenges to our drivers; we have developed a customized training curriculum for these drivers. All drivers and aides who provide transportation for special education students must first complete our regular training program before beginning the special needs program. 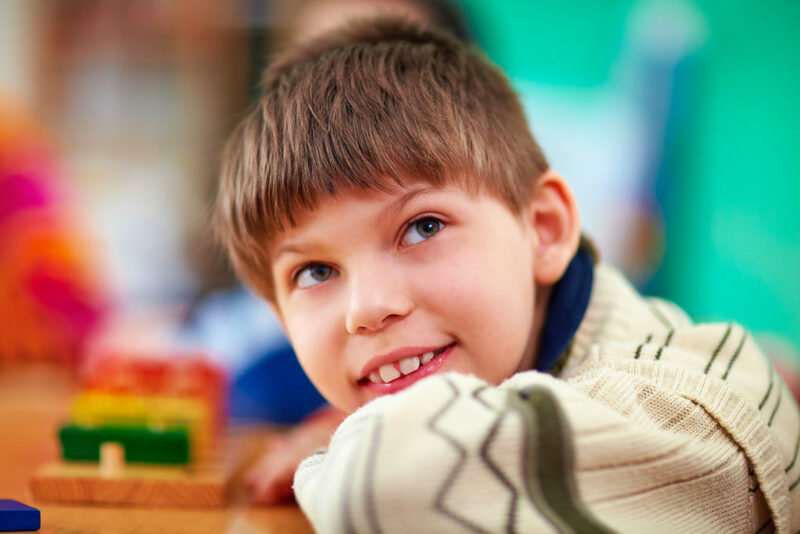 Learn more about our Special Needs initiatives. 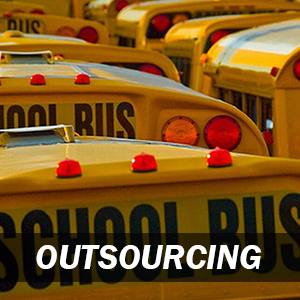 National Express will provide management and support personnel who are thoroughly trained and experienced in operating a transportation program that accommodates the size of your district. We will implement a staffing plan directly supported by our regional and corporate headquarters’ employees to manage your operations. Our regional and corporate support staff work closely with each customer service center by monitoring customer satisfaction, operational trends, safety statistics, employee relations, and by supporting community involvement. We pride ourselves on our outstanding client relationships through our open discussions, involvement with district board meetings, and regular visits for feedback and/or auditing procedures. Our regional and corporate support staff will be available to your district along with the proposed onsite local team.